Louisiana is diverse and beautiful. The southern half of the state along the Gulf of Mexico is a wild and unique land of lakes, swamps, bayou life and alligators. The northern part of the state is comprised of prairies and farmland. The largest city, New Orleans, is famous around the world for its Mardi Gras festival and colonial-era French Quarter as well as for being a destination for world-class jazz music and uniquely regional Cajun and creole food. 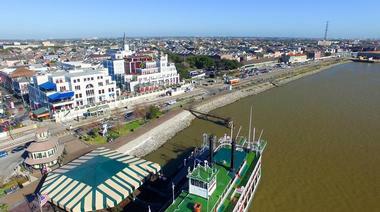 New Orleans is located on the Mississippi River near the Gulf of Mexico. 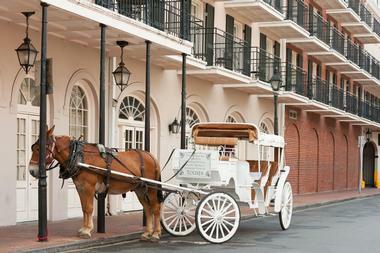 Nicknamed the Big Easy, the city is well known as a nightlife destination. Partiers from around the nation flock to this party haven. The city has a vibrant history in the performing arts and a robust live music scene. Culturally and historically, New Orleans has been a melting pot of several cultures, including African, European, American, and French. 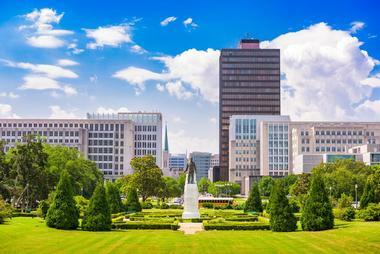 Baton Rouge is the capital city of Louisiana and the state’s second largest city. Visitors can tour both the current, working capitol building as well as the former capitol building, which now operates as a museum. Visitors can also tour the USS Kidd, a retired Navy destroyer. Lafayette is a city on the Vermillion River in southwestern Louisiana. The city is located in the center of Acadiana, an area with a high concentration of Cajun and Creole culture. Acadian Village provides perhaps the best opportunity to immerse yourself in the local culture. 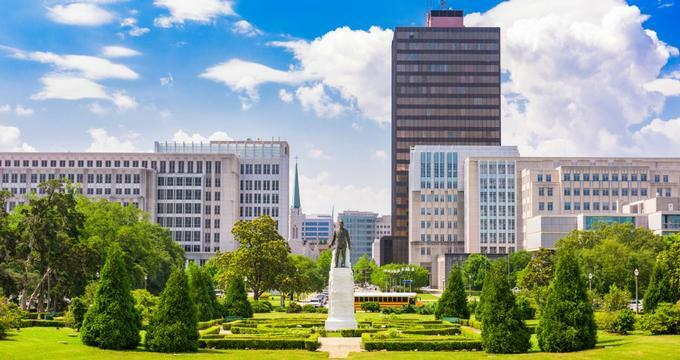 Shreveport is the third largest city in the state of Louisiana located near the Red River. The city offers several interesting cultural and recreational activities. The R.W. 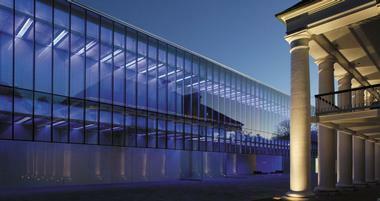 Norton Art Gallery is a museum that features American and European Art from several decades. Visitors can also check out a concert or musical performance at the Shreveport Municipal Memorial Auditorium or a hockey game or concert at the multi-purpose Hirsch Memorial Coliseum. The historic Holy Trinity Catholic Church is a Romanesque Revival cathedral located in Shreveport, and it is a beautiful example of historic architecture. Strolling the riverfront shops or the large Louisiana Boardwalk Outlets makes Shreveport the perfect shopping destination. 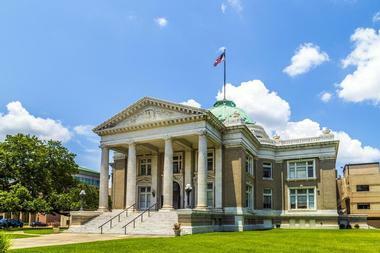 Lake Charles, a town in southwestern Louisiana, is popular for it’s gambling opportunities, and it is home to four casino properties as well as a racetrack. Once you have had your fill of blackjack and slots, there are plenty of other amusements and attractions nearby. The area is rich in Cajun culture, music, and food. The Louisiana’s Outback on the Creole Nature Trail All-American Road is a popular way to experience a bit of Cajun cultural flavor. Houma is a popular cultural and outdoor recreation destination. The town is one of only 50 places worldwide that offers GeoTours. The areas include more than 50 geocache locations for visitors to find. Other tour experiences in Houma highlight the area’s swamps and wetlands as well as Cajun culture, local plantations, and other historic sites. 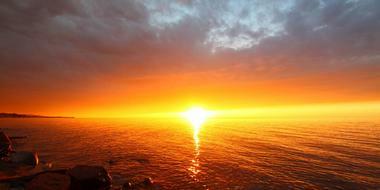 Tour companies offer tours by land, water, and air, providing a wide range of experiences. Visitors can also charter a fishing trip, visit a local swimming hole, or play a round of golf. The food and culture of the area offer an opportunity to experience Cajun life. The town boasts several popular events and festivals throughout the year, which of course includes Mardi Gras. Bossier City is located just across the river from Shreveport. Many visitors cross the river to visit the Horseshoe Bossier City casino resort, which features a wide range of casino gambling options as well as world-class dining and a swimming pool. Located inside Barksdale Air Force Base, the 8th Air Force Museum displays vintage aircraft as well as several exhibits related to the history of the Air Force. Nearby Red River National Wildlife Refuge offers ample opportunities to relax and enjoy the outdoors. The refuge features an area of conserved nature as well as an interpretive visitor center. 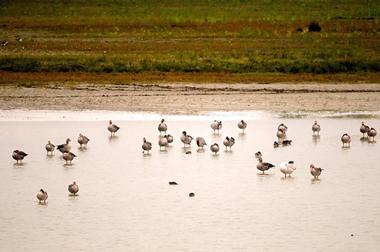 Popular activities at the refuge include hiking, fishing, wildlife viewing, and birding. The town of Alexandria is located on the south banks of the Red River in central Louisiana. It is home to several cultural attractions, including the Arna Bontemps African American Museum. The museum is the birthplace of Arna Bontemps, which exists as a home museum displaying the works of Mr. Arna Bontemps as well as historical photographs and other artifacts. The Louisiana History Museum is also located in Alexandria and features interesting displays related to local and state history. Families with children and animal lovers should make sure to visit the Alexandria Zoological Park, which is home to many species of wildlife in free-roaming, naturalistic habitats. Monroe is an educational, economic, and medical hub in the northeastern part of Louisiana. 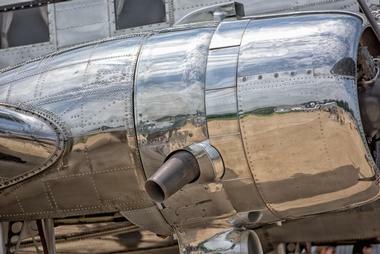 The city is well known among aviation enthusiasts as the birthplace for the legacy carrier Delta Airlines. 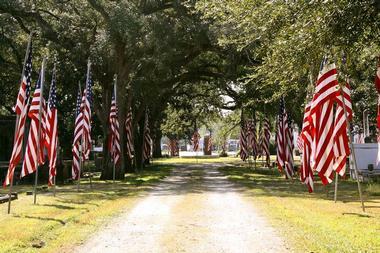 The Chennault Aviation and Military Museum educates visitors about the military career of General Claire Chennault as well as other regional and national military and aviation history. The town has many local restaurants, unique shops, and neighborhood taverns. The Louisiana Purchase Gardens and Zoo as well as the Biedenharn Museum and Gardens attract visitors from all over the state and country and are especially popular with families. Jackson Square is a popular historic park in New Orleans’ French Quarter. The park is famously known as the site where Louisiana was made a territory of the United States in the Louisiana Purchase. The park is named after Andrew Jackson who was a hero in the Battle of New Orleans and is immortalized by a statue in the park. 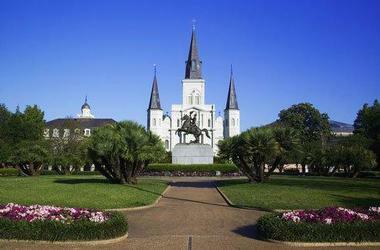 The park is surrounded on nearly all sides by historic buildings such as the Saint Louis Cathedral, the Presbytere and Cabildo (which house Louisiana State Museums) and the Upper and Lower Pontalba Apartments, the oldest apartment buildings in the United States. The ground floor of the apartments is home to retail shops, restaurants, and galleries. 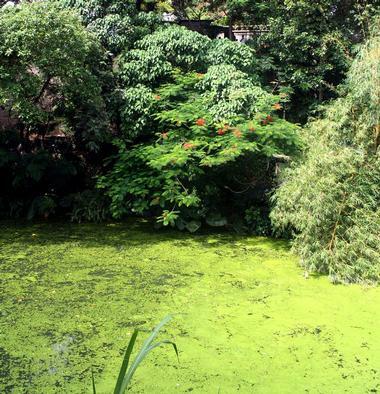 Jackson Square has been home to an open-air artist colony for more than 50 years. Local artists display their works on the iron fence that surrounds the square. The Garden District is a historic neighborhood in the city of New Orleans. 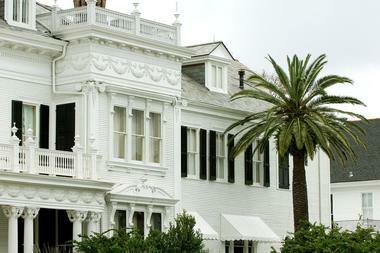 The neighborhood preserves one of the best collections of historic homes and mansions in the Southern United States. 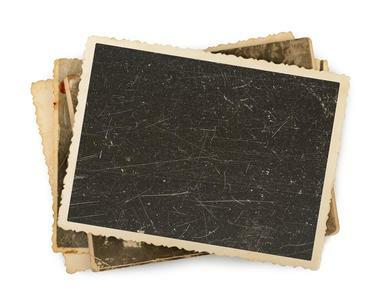 Historically, the area was once home to a number of plantations as well as to wealthy Americans. Although the district gets its name from the large gardens that used to surround the homes, many of the lots were subdivided later on, and many of the gardens replaced with Victorian homes. Some neighborhood landmarks include the George Washington Cable House, the Ashe Sfard synagogue, and the Commander’s Place, which is one of the most famous restaurants in New Orleans. 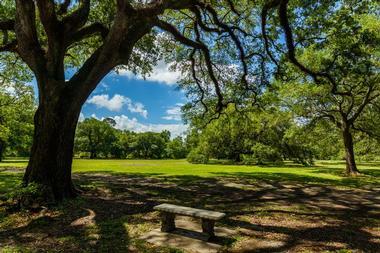 Audubon Park is a popular public park in historic uptown New Orleans. The park is a favorite recreational spot among locals and visitors alike. It features a 1.8-mile jogging path lined with gorgeous, ancient oak trees providing shade as well as a relaxing atmosphere. The park features a lagoon, riding stables, picnic shelters, and playgrounds. There are several sports facilities on the grounds, including tennis courts and soccer fields. Audubon Park is also home to the Whitney Young Pool, the Audubon Golf Club, and the Audubon Clubhouse Cafe. Special holiday and seasonal events and activities are scheduled throughout the year. Located between Breaux Bridge and Lafayette, Cypress Island Preserve protects over 9500 acres of ecologically important cypress-tupelo swamp as well as hardwood forest. Many reptiles and amphibians call the preserve home, including the American Alligator. The park is also a popular destination for bird watching, as a variety of birds (including many large wading birds) inhabit the area, in part due to the wading bird rookery located on the grounds. Cypress Island features a volunteer-ran Visitor Center with interpretive exhibits and park information. Nearby picnic pavilions provide visitors with a pleasant and beautiful place to have a meal. A walking trail starts near the levee and is available for trail walks unless it is nesting season for alligators. 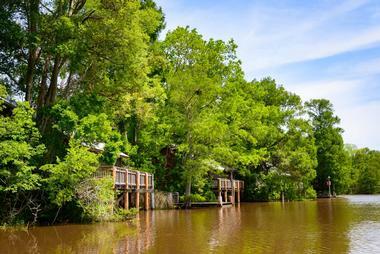 Jean Lafitte National Historical Park and Preserve is made up of six sites spread throughout southern Louisiana. Each of the park’s sites has a unique emphasis, but all tell the story of the history and cultural and natural heritage of southern Louisiana. The Barataria Preserve site is a 23,000-acre wetland with an onsite visitor center featuring interactive exhibits. Louis Armstrong Park is a 32-acre public park in New Orleans’ Treme neighborhood and is located just across the street from the French Quarter.The park contains several cultural highlights, including the New Orleans Municipal Auditorium and the Mahalia Jackson Theater for the Performing Arts as well as several buildings that are part of the New Orleans Jazz National Historical Park. Historic Congo Square is also located on the grounds and is famous for its role in African American music. 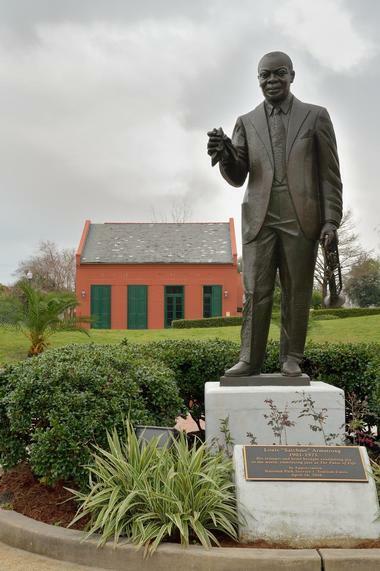 Louis Armstrong Park was the location of the first New Orleans Jazz and Heritage Festival and was named after renowned jazz musician Louis Armstrong. Lafreniere Park is the largest public park in the town of Metairie and is a great place to relax. The park features several water elements, including a small island with a pavilion as well as streams and fountains. A two-mile walking trail circles the park and is open for pedestrian access. The path features parking and stretching gyms at several locations around the circuit. Two large, enclosed playgrounds provide entertainment for small children and include benches and tables for parents to relax while the children play. Several sports and multi-purpose fields are part of the park, including five soccer fields and two baseball diamonds. Some of the wildlife that can be spotted in the park include birds, turtles, raccoons, squirrels, rabbits, and nutria. Prien Lake Park is a park on the eastern side of Prien Lake overlooking Indian Bay. The park features a variety of activities that are perfect for families. The green spaces, trees, fountains, and streams provide ample opportunities for relaxation and recreation. For visitors who would like to bring a meal to partake in during their visit, the park offers pavilions and picnic areas. Several walking and jogging trails provide the perfect place to burn off a few calories after your picnic meal. In addition to traditional playgrounds, Prien Lake Park features a “Sprayground” water park. 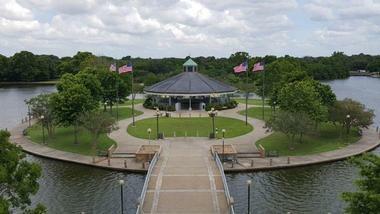 The park boasts scenic views of Prien Lake as well as the I-210 bridge, and it is especially stunning at sunset. Woldenberg Riverfront Park is a public park in New Orlean’s central business district. The park is located on the banks of the Mississippi River and provides a good place for watching the many ships floating up and down the river. The park features plenty of grassy space for picnics as well as multi-use trails for biking, walking, or jogging. The park features wide, handicapped accessible brick walkways that pass through meticulous landscaping and public art displays. Several events take place within the park grounds throughout the year, including the main stages for the French Quarter Festival. Several smaller concerts as well as somewhat regular street performers can be found at the park at various times. Located just a short drive across the Lake Pontchartrain Causeway Bridge from New Orleans, Fontainebleau State Park offers an enjoyable escape from the city. The state park features sandy beaches perfect for sunbathers and a converted railroad track that has been turned into a multi-use trail. The trail is popular among hikers, cyclists, and inline skaters. The park features an interpretive nature trail with signs along the path identifying many of the plants and trees. The park and the nearby lake provide habitat for more than 400 species of birds, making Fontainebleau State Park the perfect place to take up bird watching. There are also several waterfront cabins available for rent. Black Bayou Lake National Wildlife Refuge is a city owned lake surrounded with protected cypress and tupelo forests as well as swamps. The wildlife refuge is home to a variety of wildlife, including alligators, ducks, tree frogs, snakes, red-eared sliders, coyotes, skunks, and white-tailed deer. The refuge is home to several fisheries and provides habitats for many migratory birds as well as the wildlife that lives within the refuge grounds. Visits to the refuge should begin at the visitor center, which is located in a restored planter’s house within the Black Bayou Lake Environmental Education Center. The center features hands-on exhibits, a 1-mile long nature trail, boat dock, amphitheater, and several wildlife viewing areas. Atchafalaya Basin, located in south-central Louisiana, contains the largest wetland and swamp in the United States. 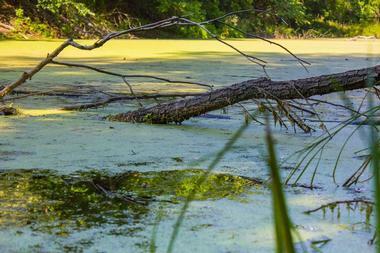 The basin is most well known for the 260,000 acres of iconic cypress-tupelo swamps. It is a land of bayous, bald cypress swamps, marshes, and brackish waters that join with the ocean in the Gulf of Mexico. The sparsely inhabited wilderness floods frequently and is accessible by only a few roads that follow the tops of the levees, including Interstate 10. The threatened Louisiana Black Bear calls the basin’s forest home. The Atchafalaya National Wildlife Refuge was established to protect the habitat of several endangered and threatened wildlife species, which include alligators, waterfowl, and other migratory birds. 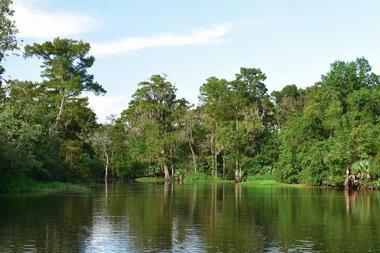 Avery Island is a natural paradise and island that is most famously known as the source of Tabasco sauce. The 10-stop, self-guided Tabasco tour guides visitors through the Tabasco museum, the factory building, barrel warehouse, and several other stops before concluding at the restaurant and country store. Visitors to the factory can also take time to enjoy the beautiful island home of the company. 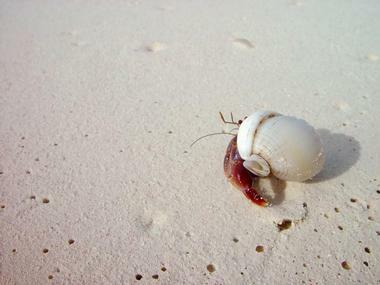 The island is inhabited by a variety of animal and plant species from all over the world. Bird City is home to several exotic birds, most notably egrets, which were moved to the island to protect them. Many exotic plants form the Jungle Gardens including azaleas, Japanese camellias, and Egyptian papyrus sedge among others. It is also possible to spot alligators and deer on the island. Venice is a prime destination for an outdoor adventure, especially if you are looking for a fishing excursion. Venice is located in southeastern Louisiana near the spot where the Mighty Mississippi empties into the Gulf of Mexico. The city is the launching point for some of the best chartered fishing trips in the United States. A wide variety of chartered boats and guide services are available in Venice. These companies offer a number of trips where informative guides can take you to the right places to increase your chances of landing a big catch. Whether you are looking to land a record-setting fish or simply hoping to spend a day on the water and bring home some fish for the freezer, Venice has the fishing experience that you are looking for. Bayou Sauvage National Wildlife Refuge is the largest urban wildlife refuge in the US made up of 23,000 acres within the city limits of New Orleans. The park is mostly marshland comprised of fresh and brackish waters leading to an interesting collection of wildlife calling the refuge home. The refuge’s swamps are home to a large wading bird rookery, and tens of thousands of water birds spend the winter within the grounds. Brown Pelicans and Bald Eagles are among the threatened and endangered species you can spot here. Other wildlife includes marsh rabbits, alligators and other reptiles, birds, amphibians, and small mammals. The park is open during daylight hours for recreational use such as hiking, paddling, and picnicking. Kisatchie National Forest is the only National Forest in the state of Louisiana, and it several species of trees and plants, including wild orchids and several carnivorous plants. 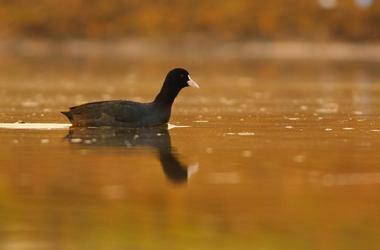 More than 155 species of birds winter or breed in the forest, and many other animals call the area home. Several rare animals that can be found within the forest boundaries are the Louisiana pine snake, the red-cockaded woodpecker, and the Louisiana black bear. The more than 600 thousand acres of the Kisatchie National Forest is available to the public for recreational use. Popular activities include bird watching, backpacking, camping, photography, hiking, fishing, hunting, horseback riding, and canoeing. The forest includes more than forty developed recreation sites and over 100 miles of multi-use trails that are popular among hikers, mountain bikers, and horseback riders.